As proponents of the Recovery School District’s unified enrollment process contend, parents should be able to fill out one application to enroll their kids in any of the city’s numerous charter schools. It eases their burden and ensures equity across the board. But is the “OneApp” process in conflict with the selective admissions policies at some schools? That conundrum was one of the issues the state Board of Elementary and Secondary Education considered Wednesday night, with board members ultimately deciding to approve a unified enrollment process for Orleans Parish contingent upon state education officials working out separate requirements for selective admissions and mission-specific charter schools by April. By law, Recovery School District charters are the only schools in the Orleans system that must accept all students. Charters under the Orleans Parish School Board may selectively admit, as can charters authorized directly by the state Board of Elementary and Secondary Education. These selective admission practices are permitted because they are considered mission-driven. For example, a charter intending to serve a military population can enroll children from military families before opening the pool to others, and a charter with a college preparatory mission can limit admissions to high achievers. Raphael Gang, head of the state’s charter school oversight office, assured BESE members that issues associated with expansion of the unified enrollment were “solvable,” especially since the expansion wouldn’t be complete until the 2014-15 school year. But board members still had reservations, in particular about how the system would work for Type 2 charters, which are authorized by BESE and may admit students around the state. “There are some serious concerns with the Type 2’s that need to be addressed, and I don’t want to approve the policy without those being addressed,” Chas Roemer told Gang and Gabriela Fighetti, who heads the RSD’s enrollment office. If state officials can’t show that they’ve come up with reasonable accommodations, BESE may revoke its decision, he said. A motion to approve the measure, with those provisos, was offered shortly after Col. Bill Davis, who heads New Orleans Military and Maritime Academy, expressed reservations about the policy changes. “At NOMMA, JROTC is apart of the curriculum … every hour, of every day,” he said. “We have specific set-asides for military students.” He also mentioned that it’s a hassle for parents of students from distant parts of the state to travel here to fill out an application. 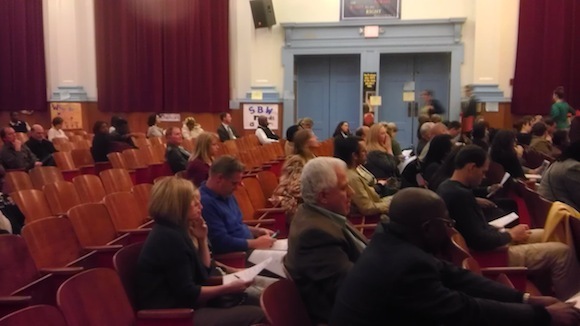 In October, Lycée stakeholders shared a host of concerns with BESE. They said the school’s population was not sufficiently diverse, that the school was charging fees for French tutoring after telling parents that such tutoring would be free, and that it had failed to follow through on an agreement to offer introductory French lessons at McMillian’s First Steps Child Care Center, an Uptown child care service. Parents were also concerned about a $90,000 unexplained debt. BESE members instructed the education department to follow up on those complaints, notwithstanding Gang’s assurances that the department had talked to everyone who raised concerns and that the issues had been resolved. The school also has a plan to deal with the debt, he said. At least three Lycée parents spoke in support of the school. Mike Napolitano called the group of parents with complaints a “small but loud” minority, and Tom Rey said the school was going through “growing pains,” but it offered a good opportunity for students. Board members Lottie Beebe and Carolyn Hill, however, were unsatisfied. The tension came to a head after Linda McMillian, who runs the day care center, expressed frustration that the school had not followed up with her about providing French classes until after last month’s BESE meeting. She insisted that the agreement with her business was written in the school’s charter application. When board president Penny Dastugue asked Gang if the school’s charter contract mentioned McMillian’s, Gang said no. But moments later, Hill pulled up the charter application – she had it on her phone, she said – and read an excerpt aloud that the daycare component. Beebe quickly jumped in. “I believe its hogwash to say that you’re going to do something, and not do it,” she said. She also implied that Lycée parents who addressed the board had been afraid to air negative comments about the school.